1.4 What Do Larvae Feed On? You’re starting to find holes in the leaves of your kale, and for that matter, in your cabbage, brussels sprouts, or other brassica-family plants. The leaves of the neat rows of radishes you’ve planted are showing signs of chewing, too. Some leaves have little off-white or yellowish spots on their undersides. And you just saw a little green worm wandering over a leaf on your produce. I’m sorry to be the bearer of bad news, but you probably have cabbage worms (Pieris rapae or Pieris brassicae). But don’t lose hope yet. I can help you to eliminate these hungry little worms from your garden, and help you figure out ways to prevent them from coming back. Common Name(s) Small white, Small cabbage white, White butterfly, imported cabbage worm, Cabbage worm, etc. Plants Affected Prefer plants with natural glucosinolates/glucosides. These plants include cabbage, kale, broccoli, cauliflower, collards, turnips, radishes, mustard greens, and many more. 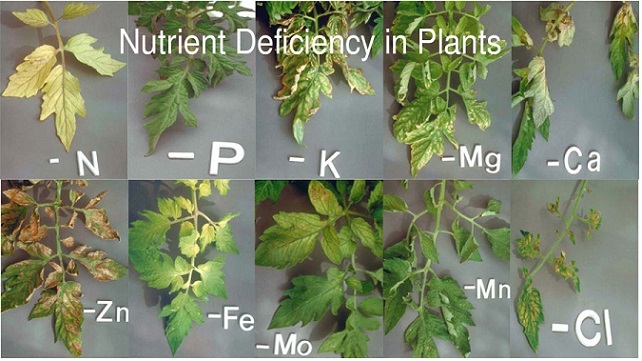 They may also affect tomatoes, spinach, lettuce, or other garden crops without glucosinolates. Common Remedies Handpicking eggs from plants, spraying with Bacillus thuringiensis var. kurstaki (BT) or natural oil sprays such as garlic oil, introducing or encouraging their natural predators, spreading diatomaceous earth, using cabbage netting to prevent egg-laying. There are other moth or butterfly insects from the Lepidoptera order which are often included in this category. 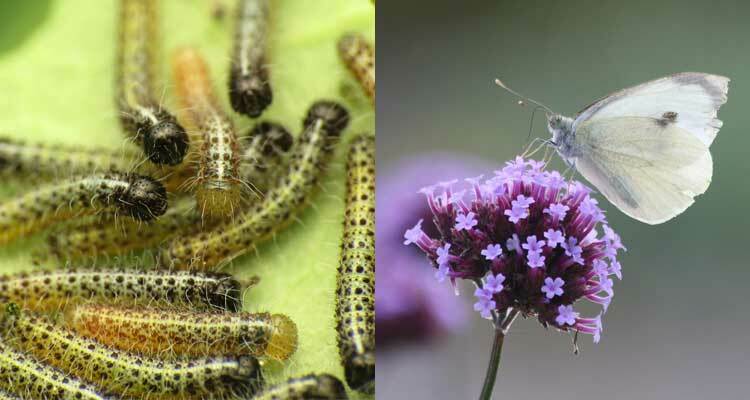 These include the cabbage looper (Trichoplusia ni), the cabbage moth (Mamestra brassicae), the cabbage webworm (Hellula undalis), the orange tip butterfly (Anthocharis cardamines), and the diamondback moth (Plutella xylostella or Plutella maculipennis). Their life cycles and reproduction may be different from the Pieris genus, but they tend to attack similar plants, and often can be eliminated in similar ways. There are two species we’ll focus on in this piece. Both of these develop into different types of butterflies, so cabbage worms are actually caterpillars in their various larval forms. Pieris rapae, the smaller of the two types. Source: fturmog for moth and Macreando for the caterpillar. The small white is widespread across Europe, Asia, North Africa, and South America. It also has been accidentally introduced to North America, Australia, and New Zealand. It’s considered to be a major pest in commercial agriculture due to its feeding habits. The term ‘small white’ comes from the coloration of the adult butterfly, which is white with some black dotting on its wings. Pieris rapae is smaller than its related brassicae relatives. Pieris brassicae, the larger of the two types. Source: Gareth1953 for moth and treegrow for the caterpillar. The large white is common throughout Africa, Asia, and Europe, and has been accidentally introduced to Australia and New Zealand. While it’s fairly uncommon in North and South America, it is not completely unknown there, and has been reported in the northeastern United States on occasion. As an adult, it is a large white butterfly with black dotting on its wings and large black patches at the wingtips. 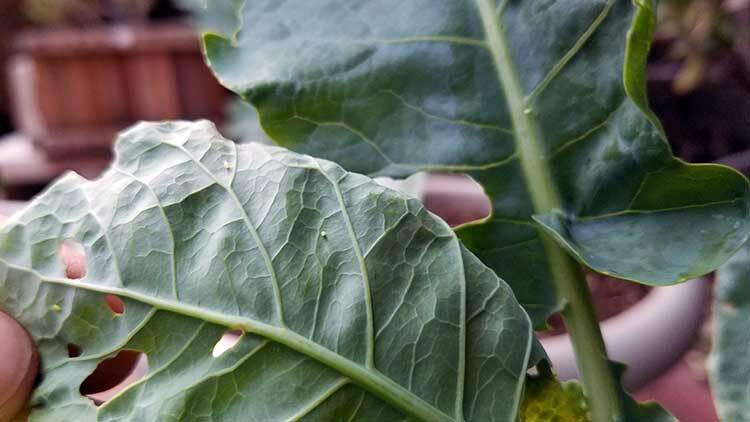 Cabbage moths will lay their eggs on the underside of plants which are good food sources. Small whites tend to lay a single egg on a given leaf, where large whites tend to lay large numbers on a singular leaf. Eggs on the undersides of my cauliflower leaves. 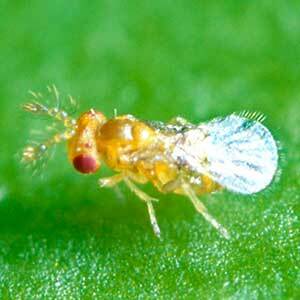 When the egg of a small white hatches, it produces tiny green caterpillars with dark heads. As it looks wormlike and the legs are not heavily defined, these are regularly referred to as worms, hence the term ‘cabbage worm’. 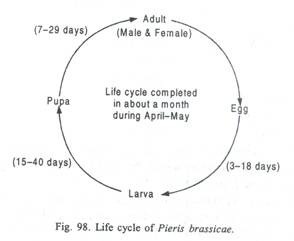 With feeding, it grows, going through five larval phases or instars during which its coloration will change, becoming more uniformly green with fewer dark patches, and it moults between each phase. When it is ready, it will form a pupa, from which will eventually emerge an adult small white. The life cycle of the large white is nearly identical except for the coloration of the caterpillar or worm itself. Large white caterpillars tend to be yellowish in coloration with a brown head. As they go through their larval phases, brown spots along the sides manifest. It similarly will make a pupa, and eventually an adult large white will emerge. This little green worm likes to live where it eats. 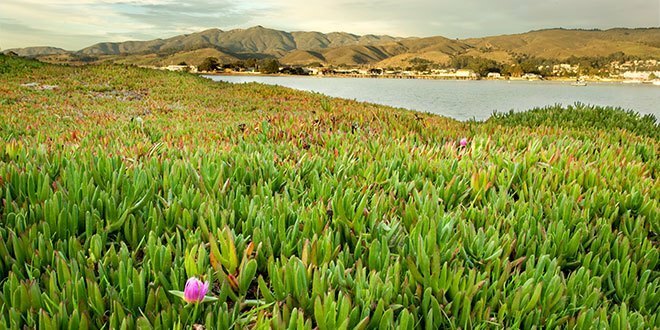 But as it has a surprisingly wide diet, these plants are found across the world today. You will find the eggs hidden on the underside of leaves, and when they hatch into worms, they will eat their way all over, around, and through your plants. 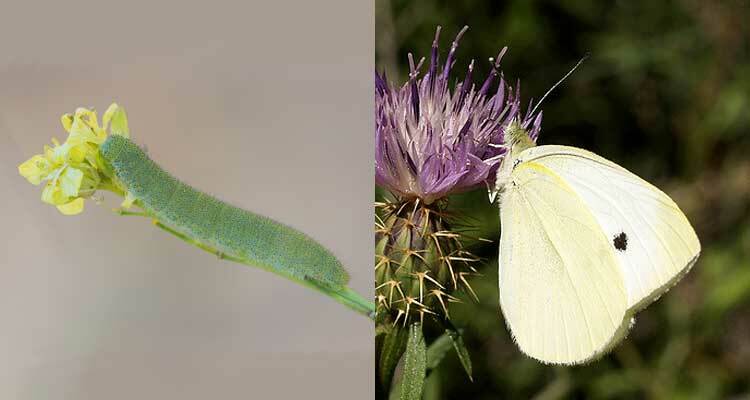 While you can find them in ornamental gardens as well, usually the first sign to watch for is white butterflies… because where there are white butterflies, there are likely to be green worms. What Do Larvae Feed On? Cabbage, turnips, broccoli, cauliflower, bok choy, kale, Napa cabbage, garden cress, Brussels sprouts, collard greens, horseradish, savoy cabbage, watercress, broccoli romanesco, mizuna, bomdong, kohlrabi, broccoli rabe, choy sum, cime di rapa, gai lan (Chinese broccoli), komatsuna, arugula, radish, daikon, wasabi, tatsoi, mustard greens (white, Indian, Ethiopian and black mustards), rutabaga. While other crops are susceptible, they really do prefer to stick with ones which provide those natural glucosinolates. However, they have been reported to impact tomato plants, spinach, lettuce, or other garden crops. More commonly, those latter plants are under attack by cabbage loopers which have been misidentified, but it’s safe to say that if you have problems with one, you can easily develop problems with the other! Now that you know where these little pests originate, it’s time to learn how to wipe them out before they wipe out your garden. There are a variety of options to control or eliminate cabbage worms, so let’s dive right in! 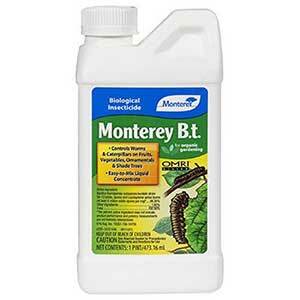 The most popular organic cabbage worm control – and one of the most effective – is the use of Bacillus thuringiensis var. kurstaki. Commercially, this is generally referred to as BT or BTK. Spraying this bacteria on your plants won’t harm the plants, but it will harm caterpillars and worms who feed on the plants. It’s also available in a powdered format if you prefer a non-spray alternative. As it gets into their system, the bacteria rapidly generates a poison, and the worm stops feeding and rapidly dies of starvation. However, it can potentially harm some beneficial butterfly larvae, so don’t use this unless you can visually see worms or signs of their yellow eggs. Organic insecticides such as spinosad or pyrethrin are also commonly used to combat cabbage worm infestations. These are effective, but they tend to be more hazardous to use, and generally BT will handle the majority of your issues. If you can see eggs, either singly or in clusters, put on a pair of gloves and carefully remove them from the leaves of your plants. You can rinse them off in soapy water and dispose of them, or crush them. Either way, you’re preventing more caterpillars from hatching and devouring your garden. Similarly, if you see the caterpillars themselves, pick those off and destroy them as well. 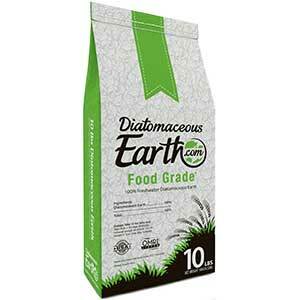 Some people like using food-grade diatomaceous earth powder on the leaves of their plants. This material, which doesn’t harm humans at all, will cut the worms’ soft bodies and cause them to dehydrate and die. An old folk tale states that people would sprinkle rye flour over cabbage plants in the early morning, and that this would also cause cabbage worms to dehydrate and die. Another recommends dampening the leaves of your plants and sprinkling them with cornmeal. 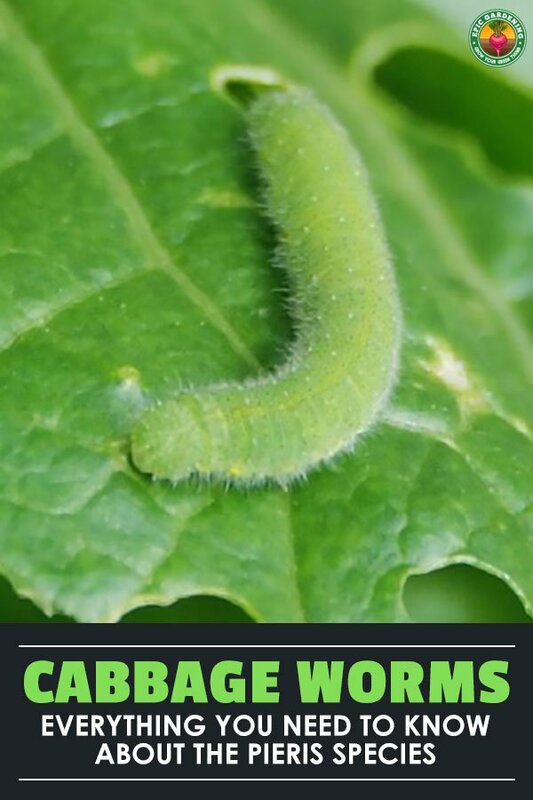 The cornmeal will swell up inside the stomachs of the cabbage worms when it’s eaten and cause them to die. Predators include for cabbage worms yellowjackets, parasitic flies, parasitic wasps (such as Trichogramma wasps), green lacewings, predatory beetles, spiders, and birds such as the house sparrow or skylark. Even chickens can help – once the larval form of the worms are large enough to be a tasty treat, chickens will gobble them up. However, chickens may also peck at your vegetables, so it’s best to be sure your plants are large enough to handle a little rough treatment before unleashing the garden fowl. If you are growing your bird’s favorite foods, you can always pick them off your plants yourself and take them to the coop for a tasty bird treat. One of the simplest techniques is to use a floating row cover of fine nylon mesh over your plants. If you can keep the butterflies from reaching your plants in the first place, they can’t lay their eggs and thus won’t eat your produce. This sort of row cover can also provide a little shade for your plants. Another option is to use a garlic spray that discourages the butterflies from laying eggs on your plants. You can buy garlic oil sprays, but you can also make your own. 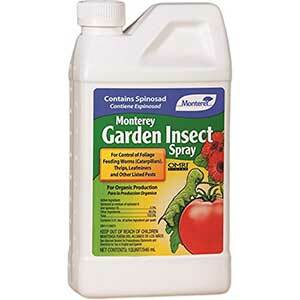 This works for June bugs, squash bugs, aphids, and a variety of other insects. Adding a little mint or neem oil to this can be beneficial, too. Caterpillars also don’t like citrus, so you can make a citrus repellent. Grind up the rinds and seeds of any type of citrus fruit. Soak the ground citrus parts in 2 cups of water overnight, then strain out the pulp. Add 2 teaspoons of dish soap to this and mix thoroughly. Spray all of the plant’s surfaces with that. Neem oil may also be good on its own. While it doesn’t prevent the butterfly from laying its eggs, neem oil can make it less likely that the eggs will hatch if they’re drenched with it. 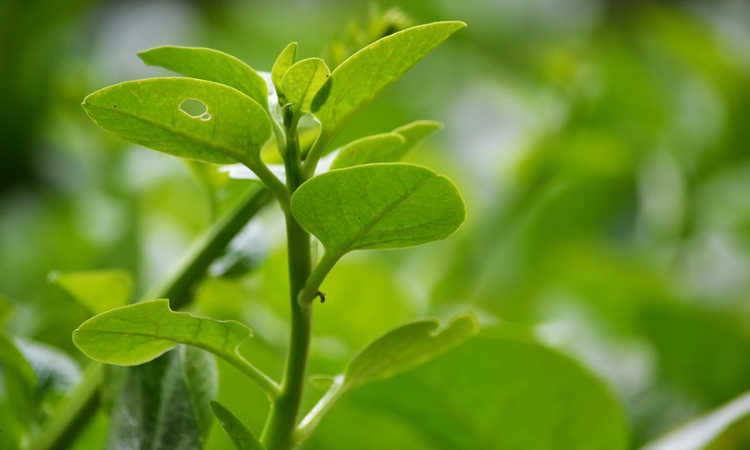 It also coats the surface of the leaf and leaves a bitter flavor, stalling the worms from eating your plants. It isn’t quite as effective as garlic or citrus sprays are, but it does act as a repellant. 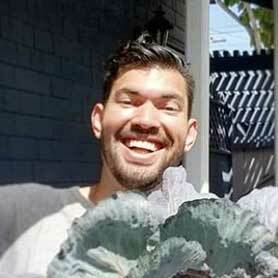 Q: Do cabbage worms attack any ornamental plants? A: Yes! Not all of the Brassicaceae family of plants is edible to humans, and they can be beautiful (and popular!) ornamentals. One of the most likely ornamentals to be attacked is alyssum, but nearly any of this plant family are subject to infestation, as almost all of the plant family has natural glucosinolates. That means that there’s at least 4000 species of plant that could be impacted. So if you’ve got alyssum, lunaria, or other ornamentals that fall into this family of plants, they could be targeted. This is especially something to consider if you have a combined vegetable and flower garden, as having a lot of brassicas will prove to be an encouragement for this white butterfly to lay its eggs. Q: Are they poisonous to humans? A: Not at all. They’re completely harmless to us, except in terms of how they can demolish our plants. 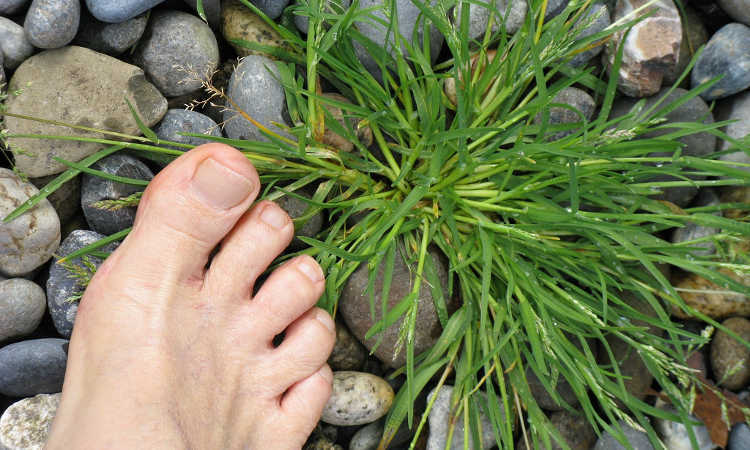 In fact, they can be an indicator of an organic garden. If you ate one, while it probably wouldn’t taste really good, it wouldn’t make you sick at all. Viparspectra Review: Are These LEDs Worth It? My kale was great. Just harvested it and made sausage and kale soup. Congrats Barbara! Covering is definitely the easiest solution. I’m jealous of your soup, kale and sausage soup is one of my favorites!